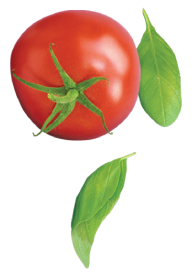 The perfect pasta dish for when tomatoes are in season! Cook the chicken covered in a lightly oiled frying pan until the juices run clear. Cooking times will depend on the thickness of the chicken. As a guide, tenderloins will take about 3 minutes each side and breast 6 – 9 minutes each side. 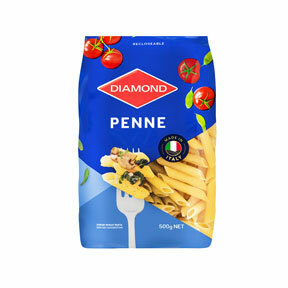 Cook the penne to packet directions. Drain well then return to the saucepan. Cut the tomatoes into quarters, removing the stem end. Heat the pasta sauce. Cut the tenderloins in half lengthwise or the breast in half lengthwise then into 1 centimetre slices. Add the tomatoes, chicken and thyme to the penne and mix gently. Heat for 1 - 2 minutes to heat through. Place half the mixture in a serving bowl and spoon over half the hot pasta sauce. Top with the remaining penne mixture and dollops of the pasta sauce. Sprinkle over the cheese and garnish with basil or basil mint.